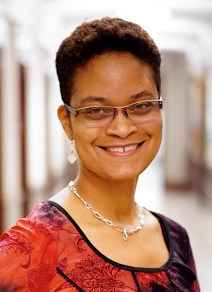 Tonia Poteat, PhD, PA-C, MPH, is Assistant Professor of Social Medicine at UNC-Chapel Hill, as well as core faculty in the UNC Center for Health Equity Research. After completing her PhD at Johns Hopkins, Dr. Poteat served for two years in the Office of the U.S. Global AIDS Coordinator as the Senior Advisor for Key Populations. Since returning to academia in 2014, Dr. Poteat’s research, teaching, and practice have focused on HIV and LGBT health disparities with particular attention to the health and well-being of transgender communities. Her current work attends to the health consequences of stigma based on multiple marginalized identities. Dr. Poteat is a certified HIV Specialist by the American Academy of HIV Medicine and has devoted her clinical practice to providing medically appropriate and culturally competent care to members of the LGBTQ community as well as people living with HIV. In 2018, she was selected for the Simmons Scholars Program which provides support for underrepresented faculty in medicine.